The Molten Color exhibition at the Gerry Villa opened in January of 2006 and this book stems directly from that exhibition. The glass show can be found on the blog at this link. Molten Color at the Getty Villa. The book is 136 pages, smaller size (6.5×8.5 inches) with 96 wonderful color photographs. 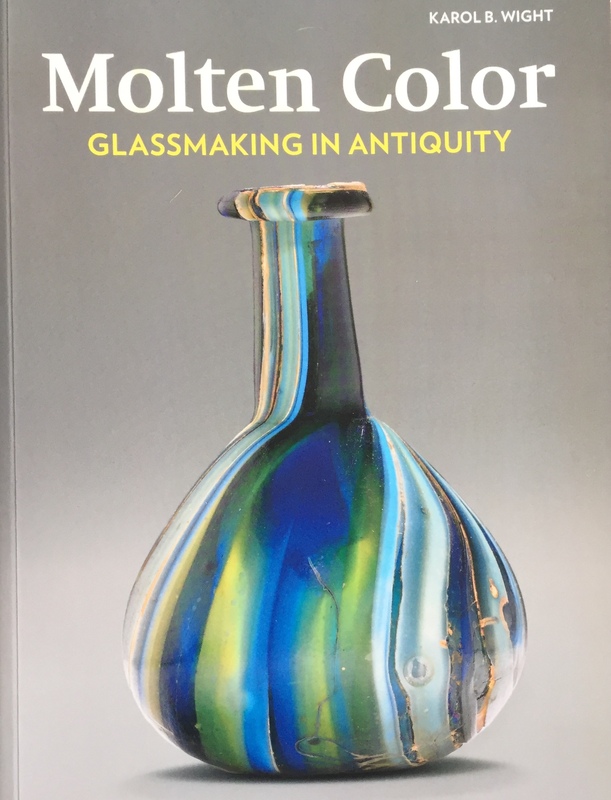 Don’t let its smaller size deter you, this book is packed with well written information not only about the objects but also Roman glassmaking in antiquity. 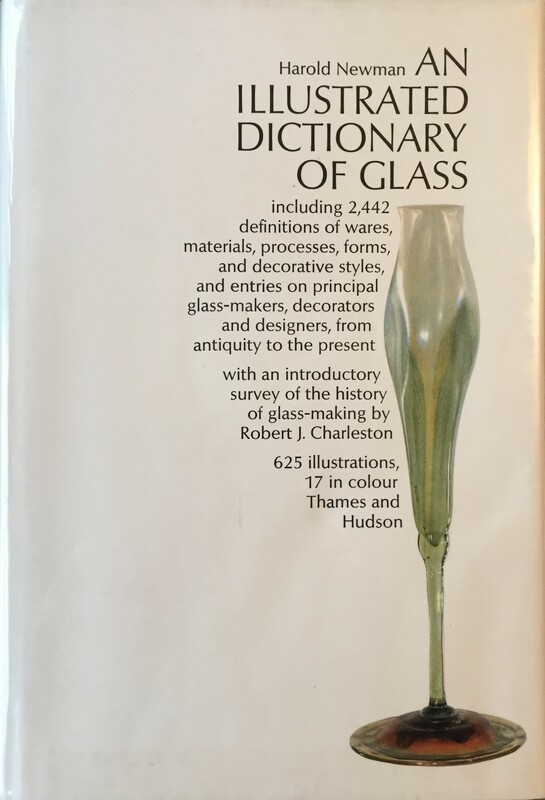 General: Newman-An Illustrated Dictionary of Glass, Harold Newman, 1977 Thames and Hudson Ltd, London. A must have reference book for scholars and researchers in the field of glass. Medieval: Baumgartner-Glas Des Spaten Mittlatersund der Renaissance: Die Sammlung Karl Amendt, Erwin Baumgartner, 2005. The Amendt collection of glass from the Middle Ages offers an amazing array of forms produced during this time of glass history. English: Bickerton-Eighteenth Century English Drinking Glasses, L.M. Bickerton, Suffolk, 1986. 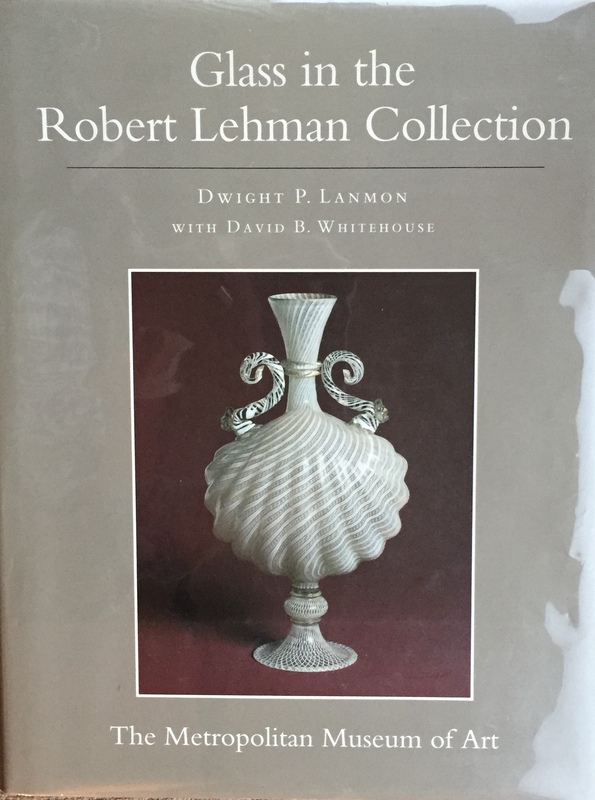 This book is the most important reference for studying drinking vessels from 18th c. England. 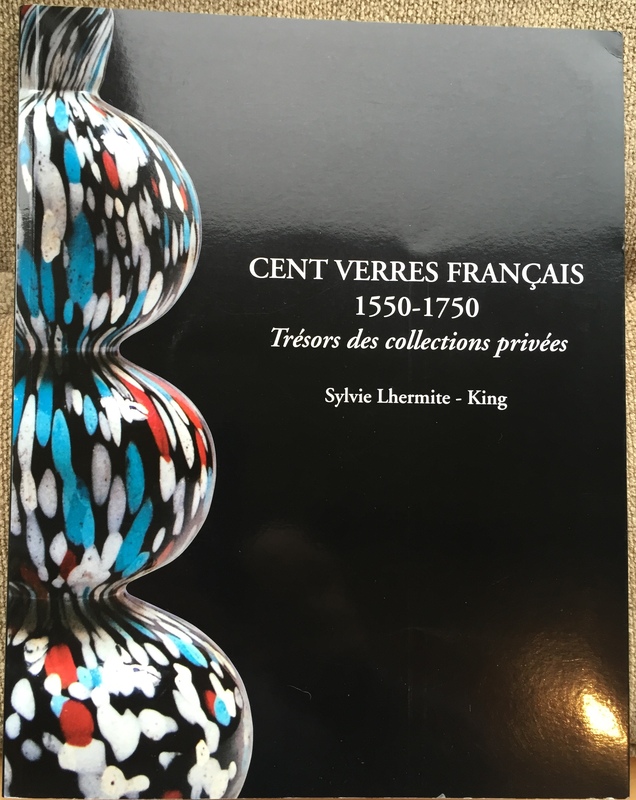 French: King-Cent Verres Francais 1550-1750, Tresors des collection privees, Sylie Lhermite-King. 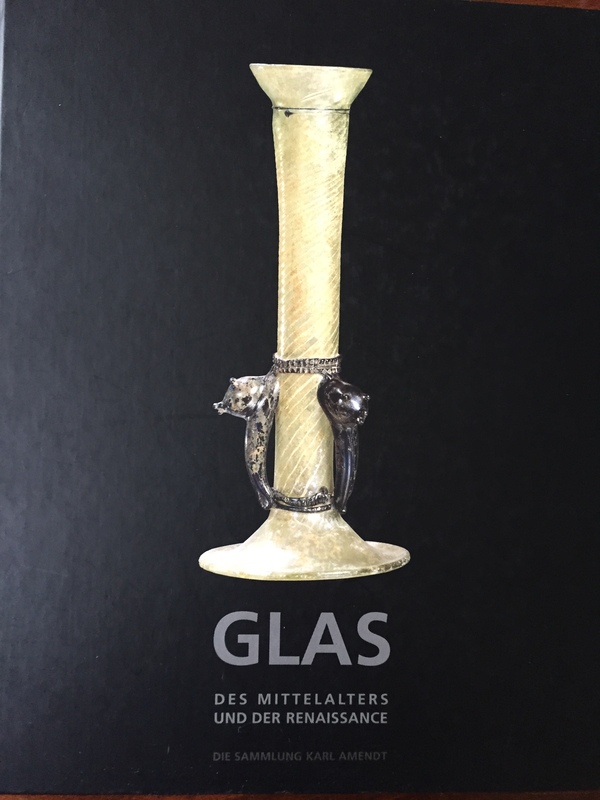 A wonderfully illustrated book of French glass vessels gathered from private collections. 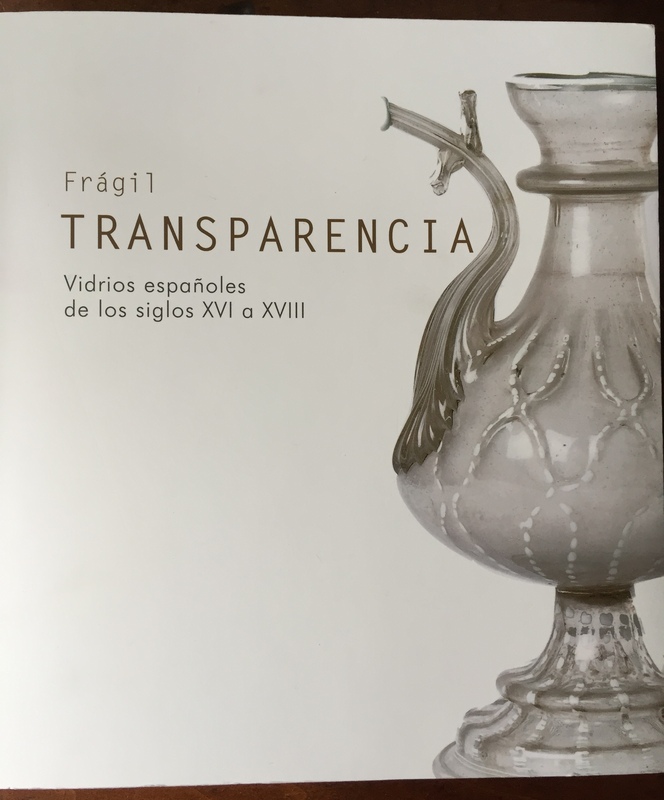 Spanish: Philippart, Fragil Transparencia Vidrios espanoles de los siglos XVI a XVIII, Jean-Paul Philippart 2011. A beautifully illustrated book on the variety of creative styles of glass in 16th,17th and 18th c. from Spain. Venetian & Facon de Venise: Page-Beyond Venice: Glass in Venetian Style 1500-1750, Jutta Annette Page, The Corning Museum of Glass, 2004. The Venetian influence traveled far & wide throughout Europe. This volume covers each of the major countries & their styles. Ancient: Gross, The Toledo Museum of Art Early Ancient Glass, David Gross, Very thorough coverage of early manufacture before the onset of blowing glass in the Ancient World, 1600B.C. to A.D.50. This publication examines the most innovative and elegant known examples of Roman mold-blown glass, providing a uniquely comprehensive, up-to-date study of these exceptional works. Included are some twenty-six remarkably preserved examples of drinking cups, bowls, and jugs signed by Ennion himself, as well as fifteen additional vessels that were clearly influenced by him. 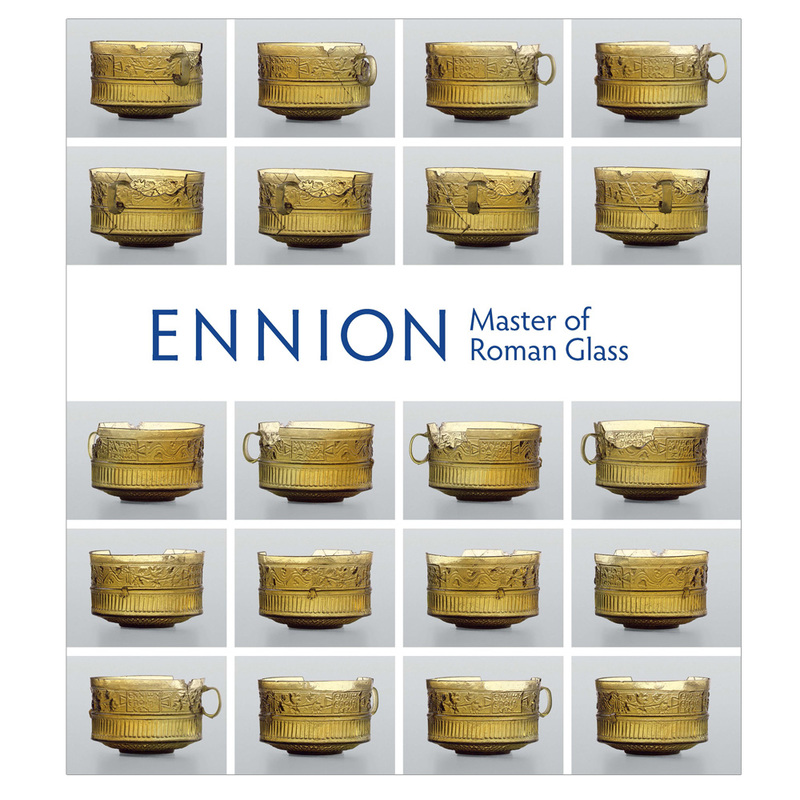 The informative texts and illustrations effectively convey the lasting aesthetic appeal of Ennion’s vessels, and offer an accessible introduction to an ancient art form that reached its apogee in the early decades of the Roman Empire. 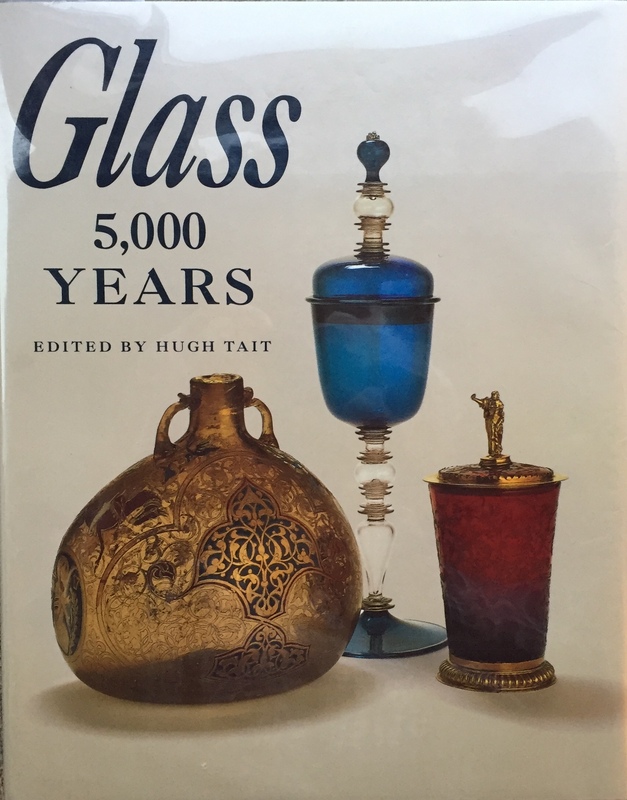 Glass 5,000 Years, Hugh Tait ed. 1991. 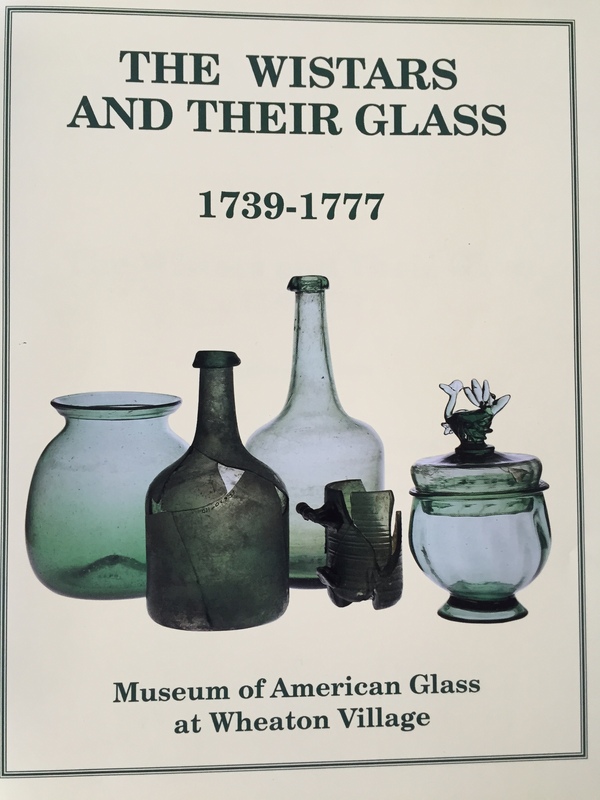 A well-illustrated survey of the history of glassmaking. Most of the examples shown are from the British Museum glass collection. Glass in the Robert Lehman Collection, Dwight P. Lanmon, The Metropolitan Museum of Art, 1993. 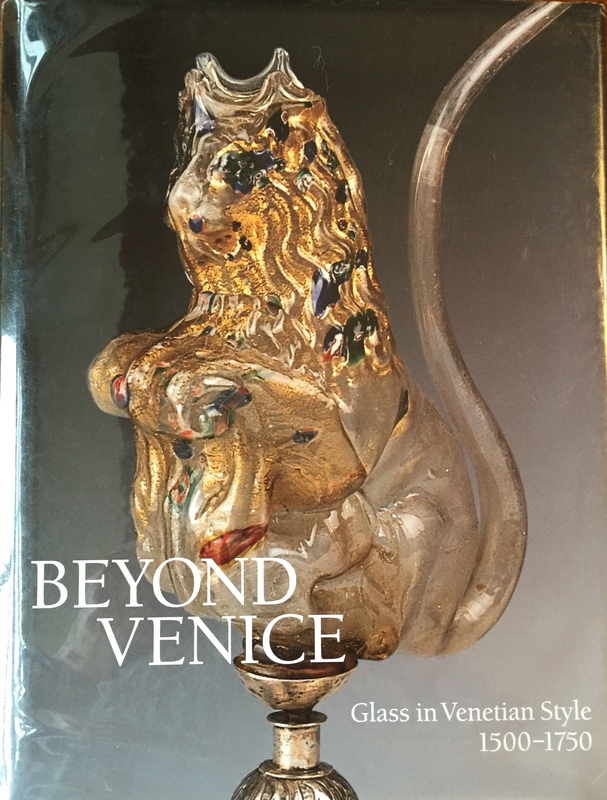 This volume focuses mainly on Venetian & Façon de Venise glass housed at the Met from the Lehman Collection and includes examples of his Roman glass objects. 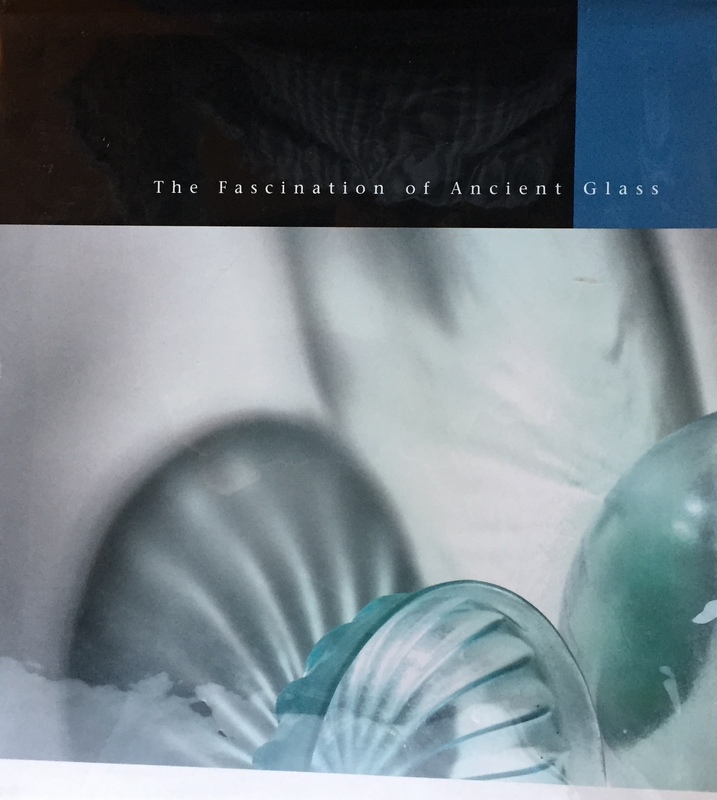 \The Fascination of Ancient Glass, Martin Newby, 1999, This catalogue of the Dolf Schut Collection is outstanding, with exemplary photographs and detailed descriptions. One of the most beautiful books on the subject. Roman, Byzantine, Early Medieval Glass 10 BCE-700CE, Marianne Stern, 2001. 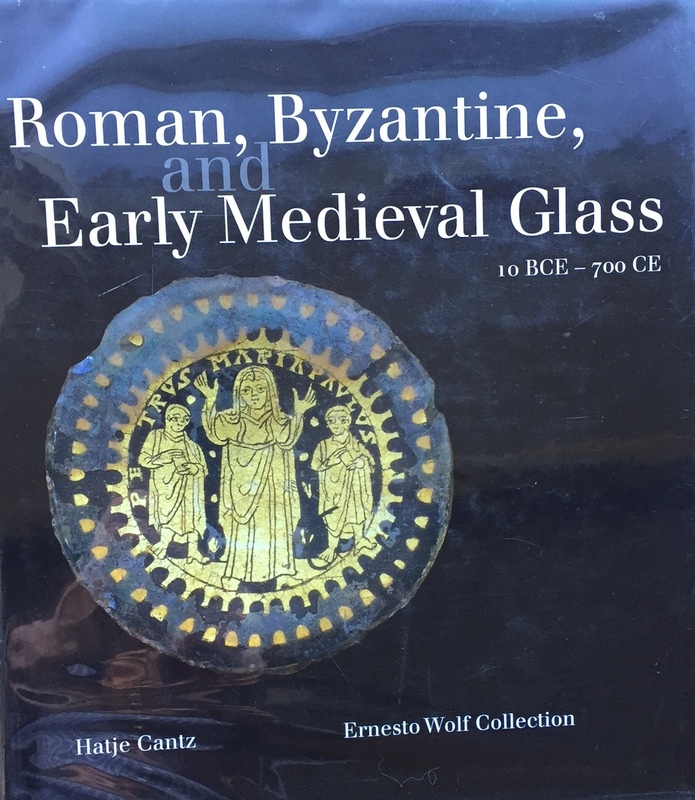 The Ernesto Wolf Collection has been published in three volumes this one covering glass from Antiquity to the Early Middle Ages. Roman Glass in the Corning Museum of Glass Vol. I II III, David Whitehouse, 1997, 2001, 2003. Published in three volumes, one of the world’s most extensive collections of Roman glass is surveyed. Each catalogue entry consists of a detailed description, notes, parallels and a color photo. 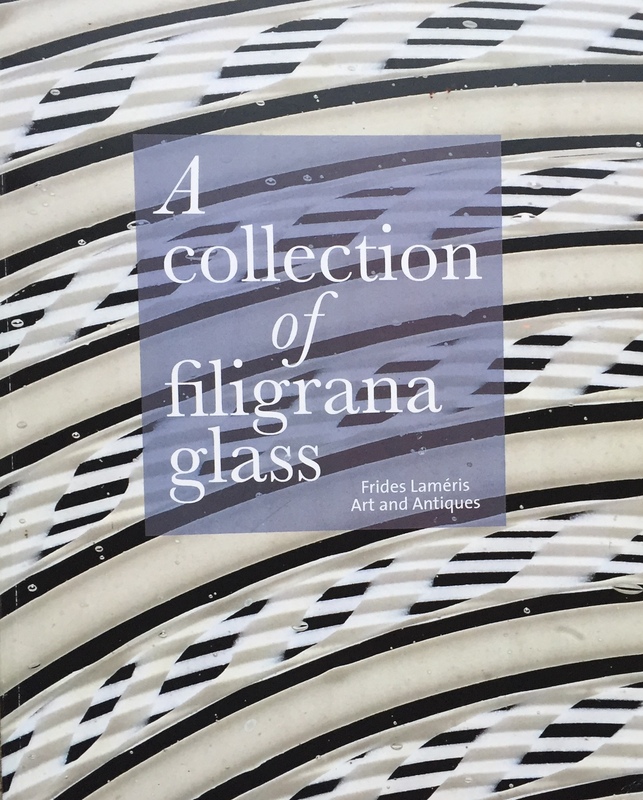 A Collection of Filigrana Glass, Frides Lameris Art and Antiques, Kitty Lameris, 2012. 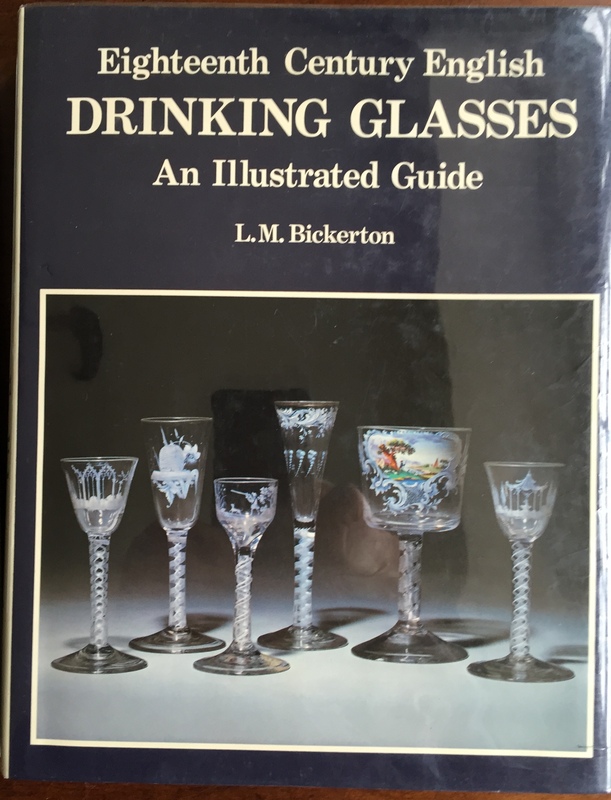 This book highlights the fine twist glasses from the collector Henk Germs. Using these objects Ms. Lameris presents a very detailed overview of this popular decorating technique used during 16th & 17th century glassmaking. Undoubtedly the best book on this subject. 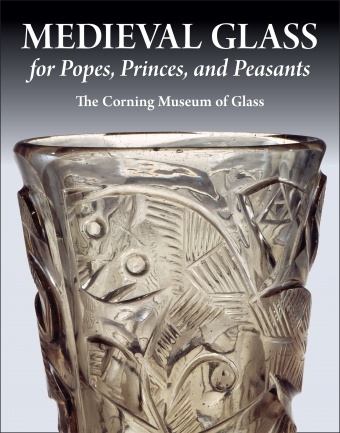 Medieval Glass for Popes Princes and Peasants, The Corning Museum of Glass, David Whitehouse, 2010. This publication accompanies the exhibition of the same name at Corning. 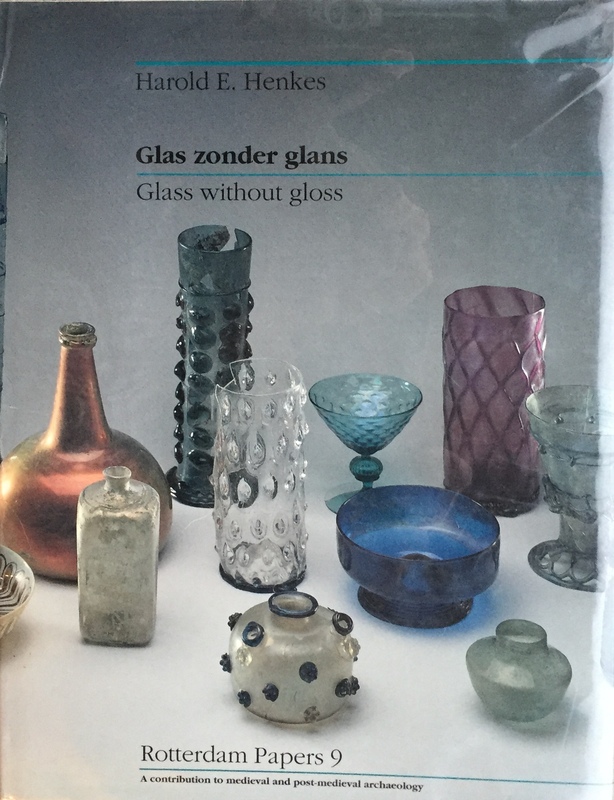 The book examines the history of medieval glass vessels, mostly from Western Europe dating from the 5th-16th centuries. The catalogue of 124 glasses includes descriptions and colored photographs. These objects were gathered from individuals and museums in the USA and Europe. One of the finest references about Medieval Glass in English. Glass Without Gloss, Harold E. Henkes, 1994 This volume begins its survey of glass vessels at a date of 1250 and continues to 1825. Most have been found in the Netherlands and Western Europe. An excellent study aid in showing a wide variety of examples rarely published which were made during this time. Written in both Dutch and English. 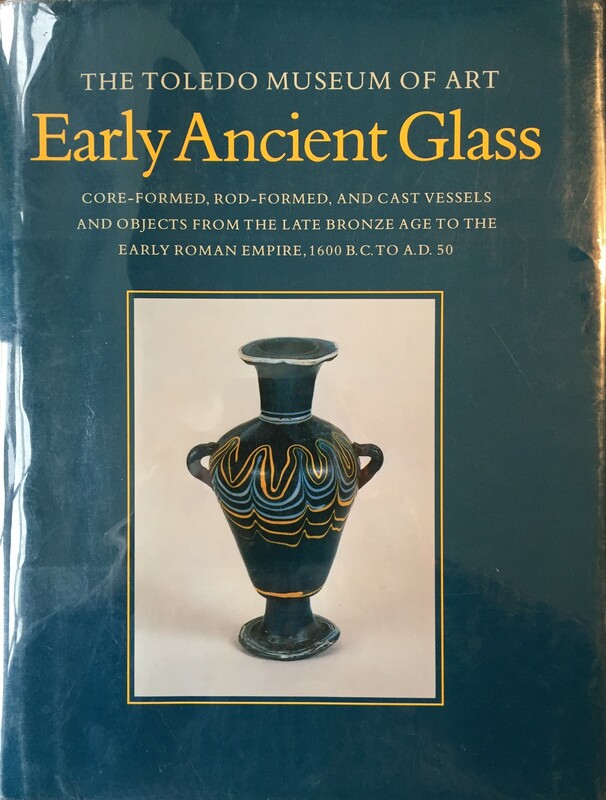 Incidentally I find the book: The History of Glass ed by Dan Klein and Ward LLoyd educational and recommend it to those like me newly interested in the subject.